How Could You Become a Certified Yoga Teacher in 90 Days? Home/Yoga Certification, Yoga Distance Learning, Yoga Online, Yoga Training/How Could You Become a Certified Yoga Teacher in 90 Days? It is important to understand that attaining a Yoga teacher’s diploma is only the beginning of the long journey; toward becoming the best possible Yoga teacher, you can be. The teacher’s journey is a daily continuation of the study and practice of Yoga. The vast majority of those who desire to become a certified Yoga teacher have years, or decades, of experience. Some certified Yoga instructors taught for decades without an official teacher’s diploma. Most people do not wake up one morning, and suddenly decide to become a Yoga instructor, without years of Yoga practice, training, and experience. That said – how much time is sufficient for a Yoga course to take? Some Yoga teacher training intensives take a single weekend. The only way a weekend intensive would cover a complete Yoga teacher training is if all the attendants were already Yoga instructors. This type of weekend intensive, for experienced Yoga teachers, does exist; but we usually cover one, or a few, related topics over the course of a weekend. For example: A weekend intensive about Pranayama, Bandhas, and Mudras, would be a good blend of related subjects. 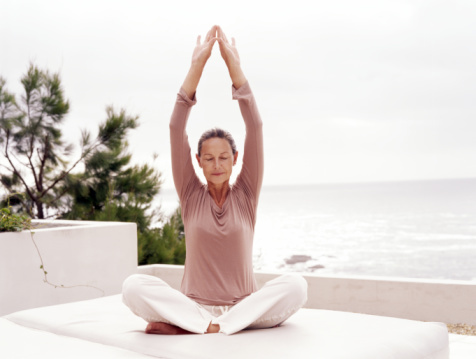 You could easily go beyond a weekend working with Pranayama, alone. However, to cover an entire Yoga teacher training syllabus over the course of an entire weekend is not really possible. Consider this: A weekend intensive is usually 20 to 30 hours of study and practice. The average Yoga instructor graduate spends a minimum of 200 study hours, before successful completion of his or her Yoga teacher training course. At our training center in Attleboro, Massachusetts, a graduate of our on-site program attends 18 weekend intensives, over the course of 9 months. Home work assignments are also part of the study. Keep in mind, some Yoga certification programs take years, so our training is moderate in length, but complete. Now, back to whether 90 days is really enough time to become a Yoga teacher. The answer is “Yes,” but the candidate must be experienced in the practice of Yoga, and disciplined enough to study independently. The ability to take initiative is a quality every experienced Yoga instructor must have to be completely competent. How much experience should a Yoga teacher intern have before applying for a Yoga certification course? A minimum of two years of practice, before joining a Yoga teacher training course, is wise. The reason for this is the terminology used in Yoga teacher certification courses. Just like any other subject, Yoga has its own language. Sanskrit is the common language heard in Yoga classes around the world. A student who desires to become a Yoga instructor should have, at least, a basic understanding of Sanskrit terms used in the average class. Can I Become a Certified Yoga Teacher – if I was a Competitive Ice Skater?